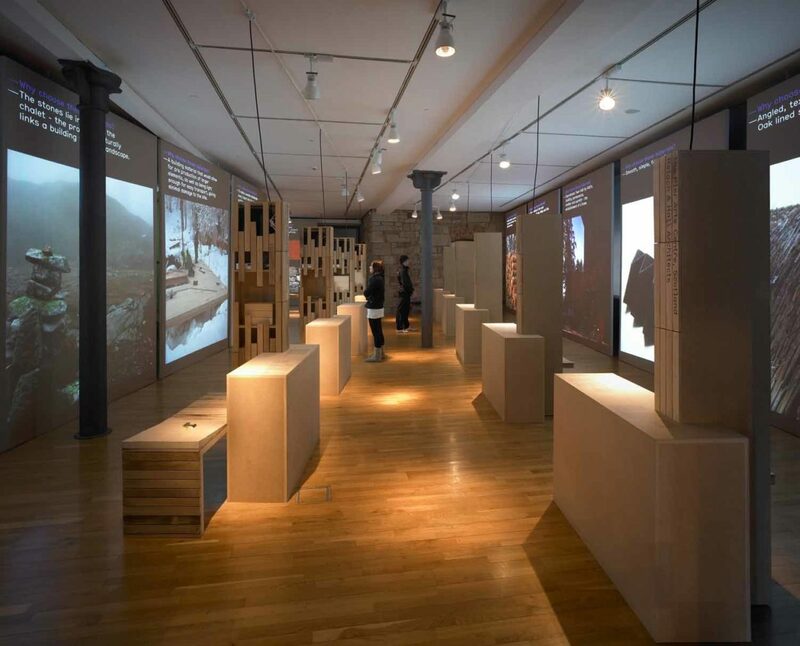 The Building Biographies exhibtion was commissioned as part of the ACCESS to Architecture Programme, which aims to bring architecture to a wider audience across Scotland. 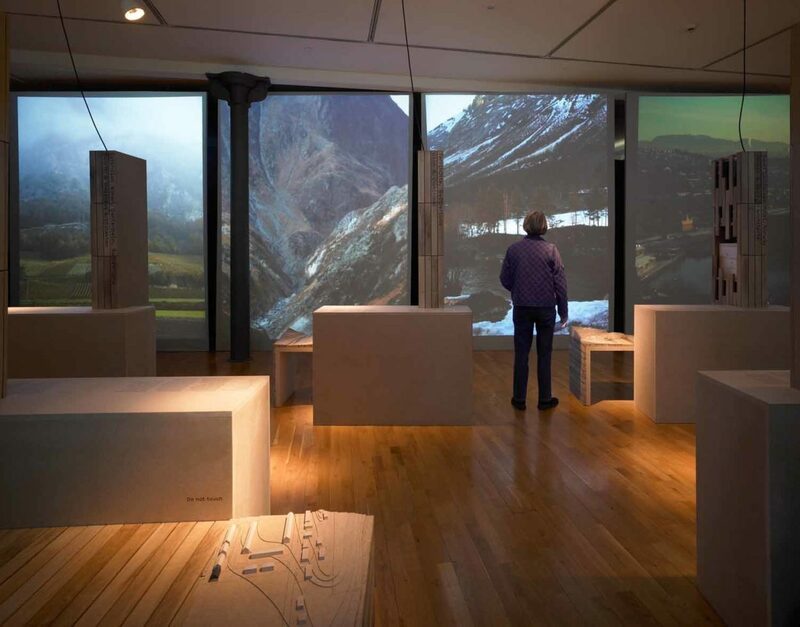 Within the exhibition and accompanying book, recently completed Scottish projects were presented with European examples from Norway, Vorarlberg in Austria and Graubunden in Switzerland, offering the Scottish projects an international perspective. 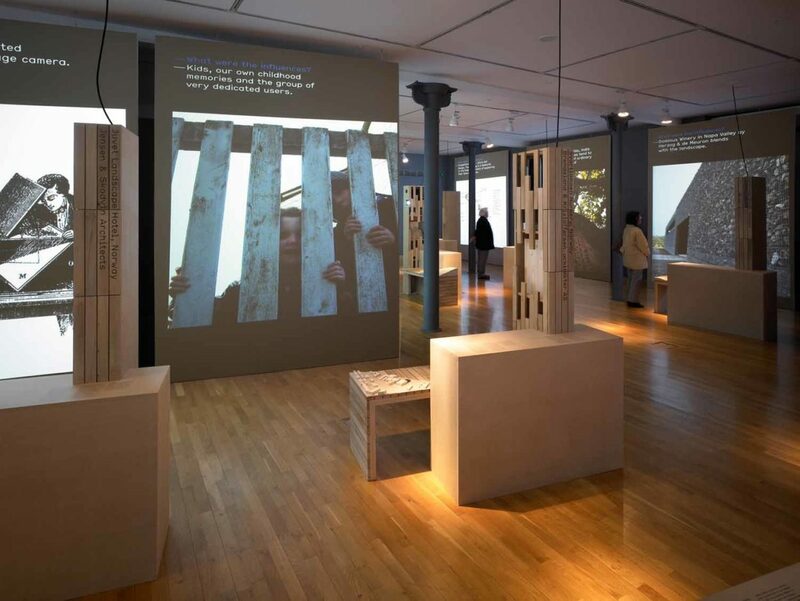 The exhibition examined issues of place, regional identity and globalisation, which in turn challenged the buildings to tell their stories and to answer the question ‘why is it like that?’. 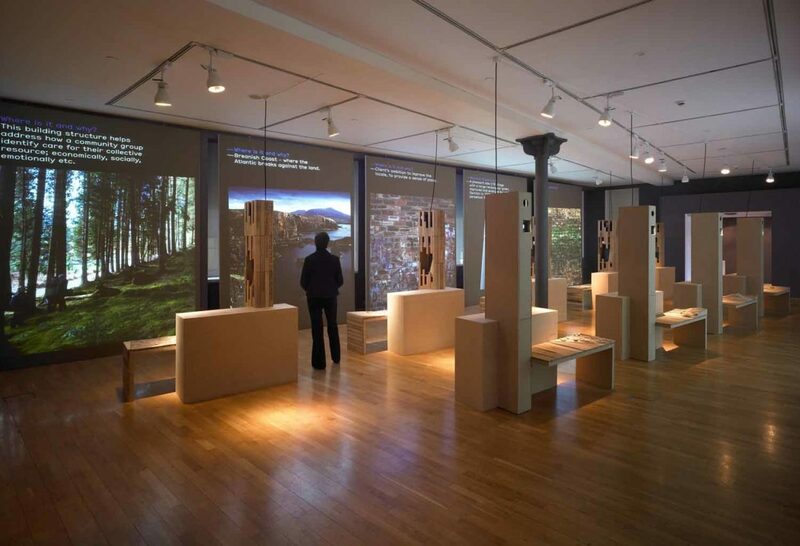 In designing the exhibition, Collective Architecture sought to use sustainable materials which had their own story, drawing on links with Glasgow Wood Recycling. The final design incorporated the reuse of oak whisky barrels which provided a unique tactile character to the space and generated a rich smell of wood and whisky. 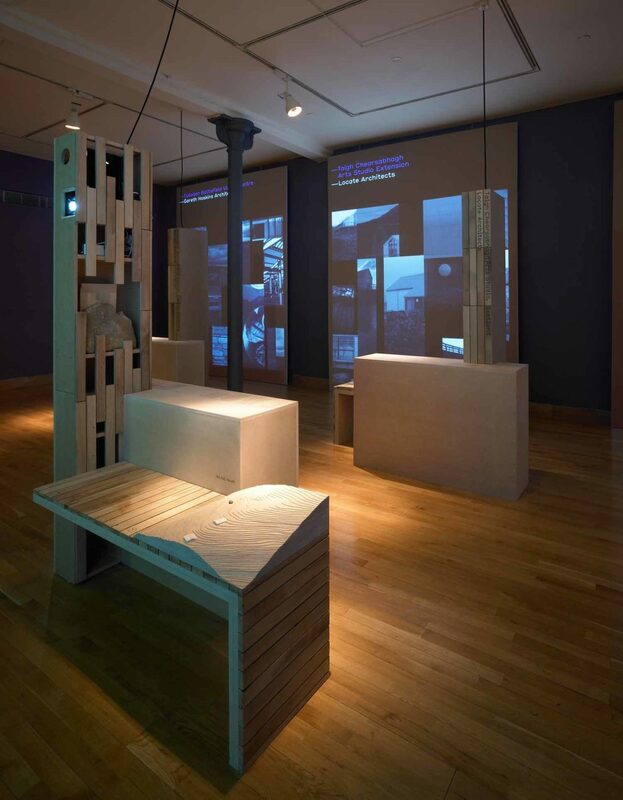 The oak structures within the exhibition are designed to provide resting points from which to view films describing each project, whilst housing a scale model of the building and its context and material sample. 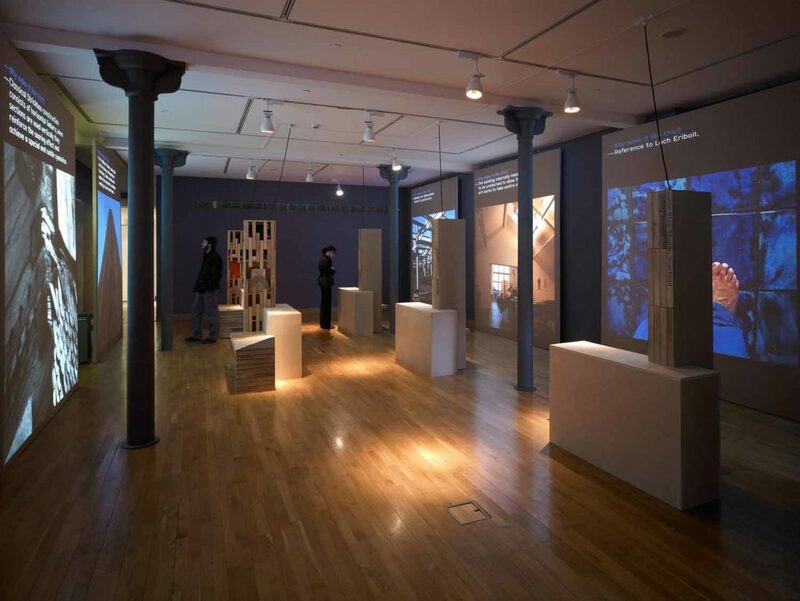 This approach allows all the projects to be viewed individually, but through the journey around the gallery, compared against one another in terms of scale, siting, materiality and form.